The latest inflation figures for November were released this week, just in time to give us a small amount of Christmas cheer – or have things gotten so bad that I am starting to find joy in even the blandest news? Inflation fell to just 1%, the lowest it has been for 12 years. This makes it 1% below the Governor of the BoE's target of 2%, but that seems to have been largely ignored. What can't be ignored is the difference this has made to the number of savings accounts that now pay enough interest to negate the effects of both tax and inflation. Of course, we can't thank the banks or building societies for this as they have done nothing. They still, on the whole, pay pretty appalling rates, it is just that the money in our pockets buys comparatively more the lower inflation becomes. To find an account that beats inflation, a basic rate taxpayer at 20% needs to find a savings account paying 1.25% per annum, while a higher rate taxpayer at 40% needs to find an account paying at least 1.67%. How many accounts beat inflation? There are 632 non-ISA accounts in the market today and 210 now pay enough for a basic rate tax payer to beat tax and inflation. ISAs, however, present a slightly better picture with 155 out of 201 offering rates that beat inflation (being tax-free they only need to beat inflation and not the taxman). Of course, the new Pensioner Bond launches in January, and if you qualify and are lucky enough to get one, then they are paying a fantastic rate compared with what is on the market at the moment. For the rest of us, there are a total of 365 savings accounts (176 fixed bonds, 19 notice, 15 no notice and 155 ISAs) to choose from that pay enough interest to negate the effects of tax and inflation. The longer you are prepared to lock away your money the better the rate you will get, so naturally, it's the five-year fixed rate ISAs that lead the way. United Trust Bank and Julian Hodge Bank both have five-year ISAs paying 2.50%. However, United Trust Bank will only accept transfers in from other providers’ ISAs (keeping it out of our charts) while Julian Hodge Bank only allows transfers in of at least £5,000. Virgin Money’s five-year ISA (issue 121), is also paying 2.50%, but early access to funds will result in the loss of 180 days’ interest. The highest rate paid for a variable ISA comes from Al Rayan Bank (previously Islamic Bank of Britain). This Sharia’a compliant account, which requires 180 days’ notice for any withdrawal, does not pay interest but an indicative profit of 1.80%. Meanwhile, Hinckley & Rugby Building Society is paying 1.60% on its 120-day notice ISA. The Post Office is also paying a good rate at 1.55% on its Premier Cash ISA Issue 7, but the rate only holds for 18 months as it includes a bonus. You can also only make two withdrawals per tax year - any more and the rate drops to just 0.80%. If you are looking for a two-year bond, Secure Trust Bank is top dog, with its two-year deal (issue 10) paying 2.33%. Shawbrook Bank is also paying a competitive 2.25%, while GE Capital Direct has a yearly rate of 2.20%. Vanquis Bank is paying one of the top rates over five years at 2.96%. This is just a smidge more than FirstSave, which is paying 2.95%, and Aldermore, which has a rate of 2.90%. Of course, these top rates do not compare with some of the high interest current accounts on the market, which I know many of you are passionate about. I haven't forgotten them, but for me, they have even more hoops to jump through than some of the savings accounts. 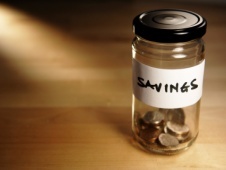 So, for the purpose of this article, I will stick to the best 'traditional' saving accounts. If you are thinking of applying, I must also give a timely warning about Pensioner Bonds. The first thing I would say is to make sure you have your cash available, as you will want to release it quickly. (These bonds are going to be gone in the blink of an eye, so there is no time to hang around). If you need to serve notice on any savings, do so quickly. However, remember that you run the risk of serving your notice period, only to find that the Pensioner Bonds have sold out. My second tip is about how you apply. NS&I has said that it will accept applications via post, phone or online, but the reality of the situation is that it is a first come, first served offer. Online is always going to be quicker and speed is going to be everything.